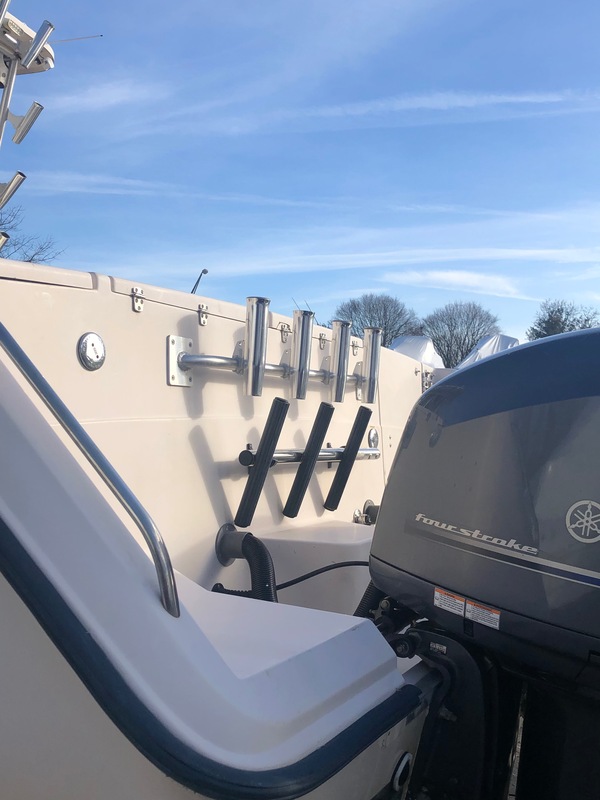 2019 Grady-White Express 330, Grady-White Express 330 with reliable Yamaha Four Stroke Outboard power.Named one of the 25 greatest offshore saltwater sport fishing boats of the past 20 years, the 33-foot express cabin boat Express 330 recently was completely redesigned with an emphasis on seating, cabin amenities and interior lighting. Not only is the 330 a premiere sportfishing boat, it’s a great family boat and overnight cruiser. 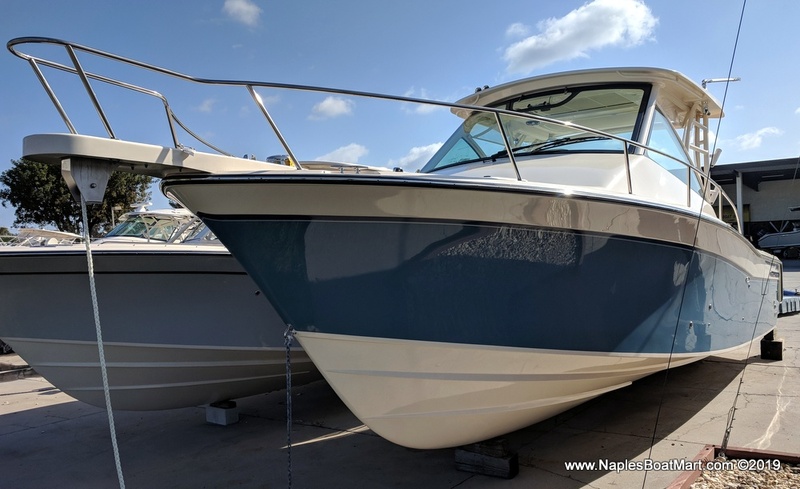 2017 Grady-White Express 330, EXCEPTIONAL condition 2017 Grady-White 330 Express -- SHOWS LIKE NEW. 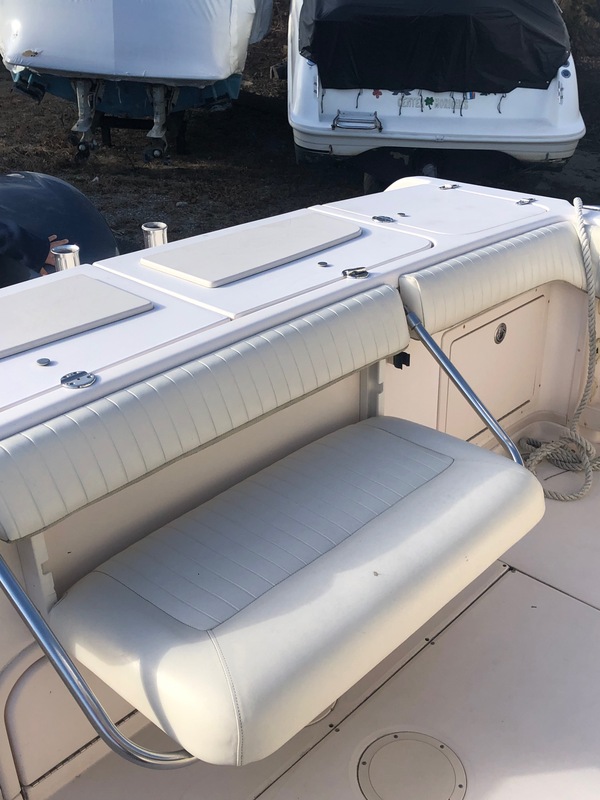 This vessel was special ordered to the knowledgeable owners' specs, sold by Naples Boat Mart, and has only been serviced by our dealership since new. You absolutely will not find a cleaner boat! Lift kept since day one, detailed quarterly, dehumidifiers run constantly -- EVEN THE BILGE is clean. No mold/mildew/smells/scuffs or excuses. 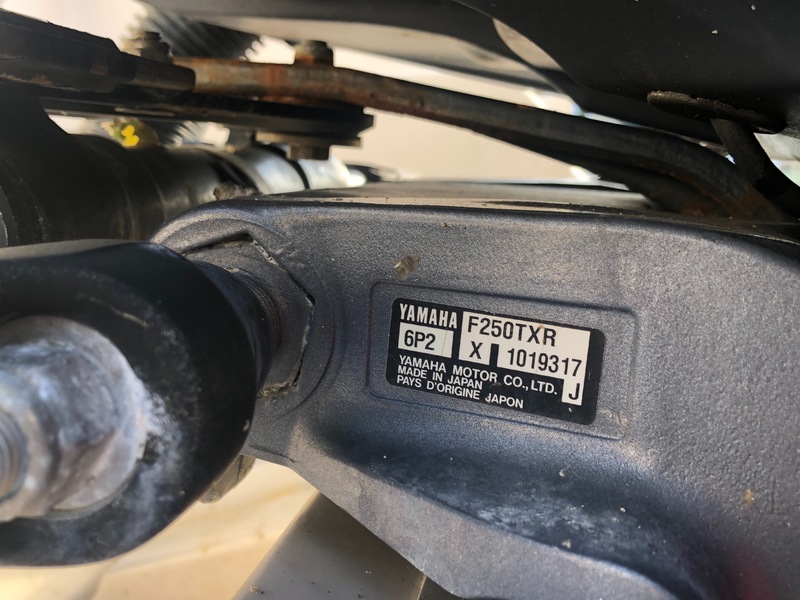 Long equipment list, services up to date, all F350s updates current. Options include:Twin F350NCC Yamaha four strokes -- Factory warranty until 8/24/21 w/ option to buy additionalHardtop w/ ivory Stamoid enclosureBow thrusterPlatinum helm chairHelm Air ConditioningHot cockpit showerOutriggers -- crank adjustable for heightFreshwater engine flushesUnderwater lightsCustom folding aft deck shadeTwin Garmin 7612 12' GPS/DepthGarmin open array radarGarmin AutopilotGarmin sat weatherGarmin AISICOM VHF radioACR EPIRBNADA Value is $353,250. Priced to sell at $319,900. That's $150,000 less than a new one. BOAT IS NOT LOCATED ON PROPERTY AT DEALERSHIP AND IS SHOWN BY APPOINTMENT ONLY.